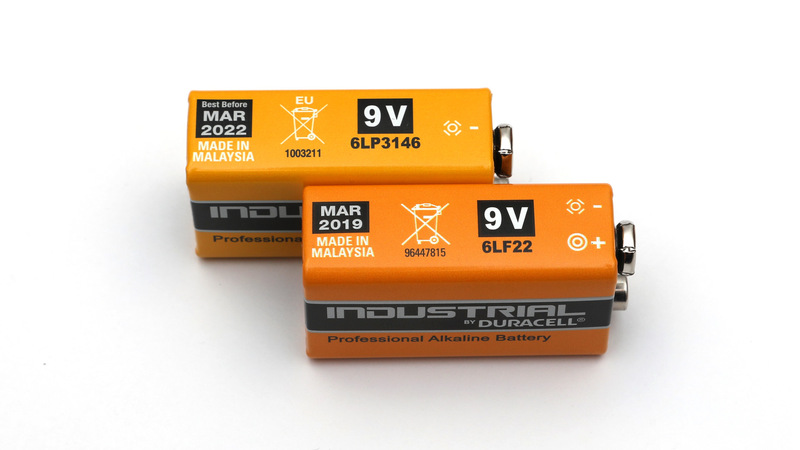 We have recently tested 9V Duracell Industrial Alkaline Battery and surprisingly managed to find another one that is at the end of it’s shelf life this month. That was a good opportunity to compare a fresher 9V Duracell Industrial battery with one that is and the end of its expiration date and see what is the change in capacity you can expect to get with the 9V Duracell Industrial batteries compared to a battery that is at around half of its shelf life. We were quite pleasantly surprised by the result we got, at a little over 300 mAh for a battery that should be considered expired in a couple of days and would normally be discarded and thrown away. This is just less than 15% lower capacity than that of a 3 years fresher 9V Duracell Industrial alkaline battery, so do not be in a hurry to throw away alkaline batteries that are near their end of life if you still have not used them as they may actually have more to offer than what you expect. Of course it is also very important under what conditions they were stored, because if not properly stored they could actually end up completely discharged even before the end of their expiration date! 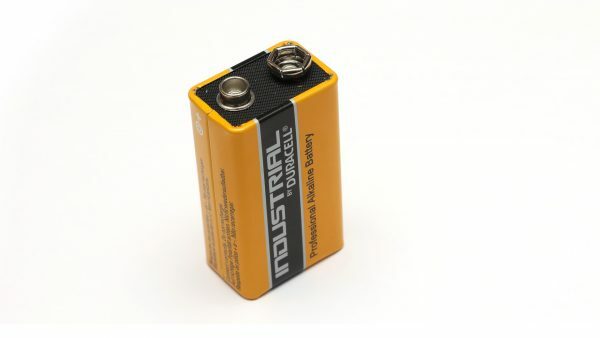 The industrial by Duracell batteries are designed and packaged for wholesale and professional trade customers and are providing high quantities of dependable batteries at a cost-effective price according to Duracell. They are supposed to be delivering long-lasting power across a range of professional applications, capable of operating in temperatures from -20°C to 54°C and offer reliable performance, even after seven years of storage. So you should not be expecting the highest performance out of these and you should also be careful when picking up a larger quantity that the batteries are from a fresher batch. The one we received and are going to be testing here is with an expiration date March 2022, so not the freshest one out there if it has a 7 year life, but even with 5 years we still get only 3 more years, so again be careful with that. Our test of the 9V Duracell Industrial Alkaline battery are at a constant current discharge rate of 0.05A (50 milliamps) and we have managed to get 347 mAh usable capacity in the test. That result puts it around the middle of the results we ave seen so far in our 9V alkaline battery tests, though a fresher battery should be able to get you some more capacity… most likely as the storage conditions are also important and not just the remaining shelf life for an alkaline battery. Our tests of other Industrial alkaline batteries are showing that they are usually around the mid-range of usable capacity compared to other regular alkaline batteries.